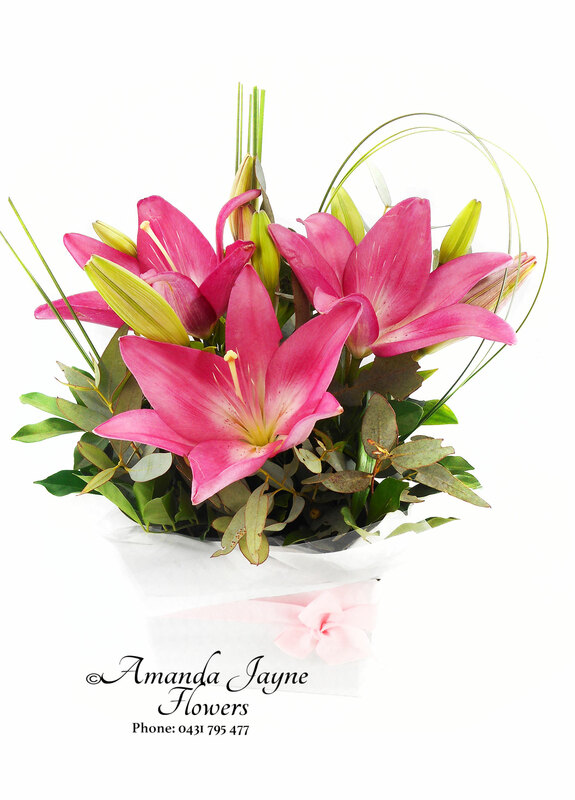 Pink Lillie Blush, Pink oriental lilies box arrangement. 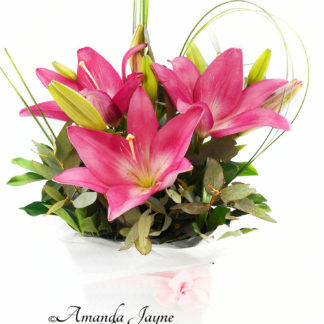 Lilies may arrive closed this helps prolong the life and helps protect them in transportation. 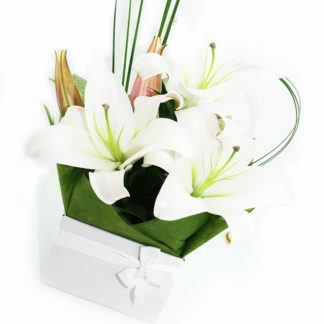 Rose Box White Oriental lily box arrangement.